Dante’s Inferno a lot like God of War? Well thanks! 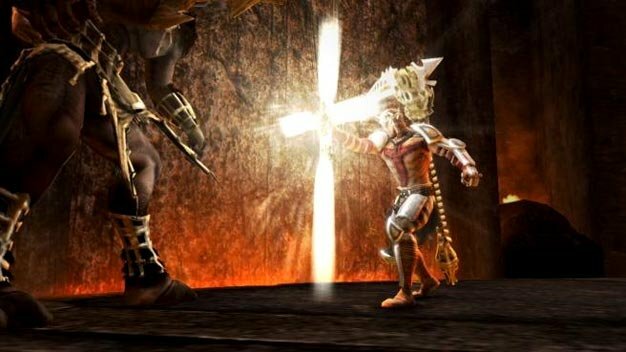 Ever since EA first unveiled it, Dante’s Inferno has been compared to God of War. Some say it as a good thing while others have damned the game to hell for being too much like Sony’s premium franchise. But how do the folks at EA react when being told their hellish baby is too much like GoW? According to Jonathan Knight, the writer, producer and director of Dante’s Inferno, they don’t mind. At all. Knight says the GoW devs are “at the top of their game” and that “there’s no question God of War III is going to be spectacular.” He’ll be the first in line to get it, in fact.